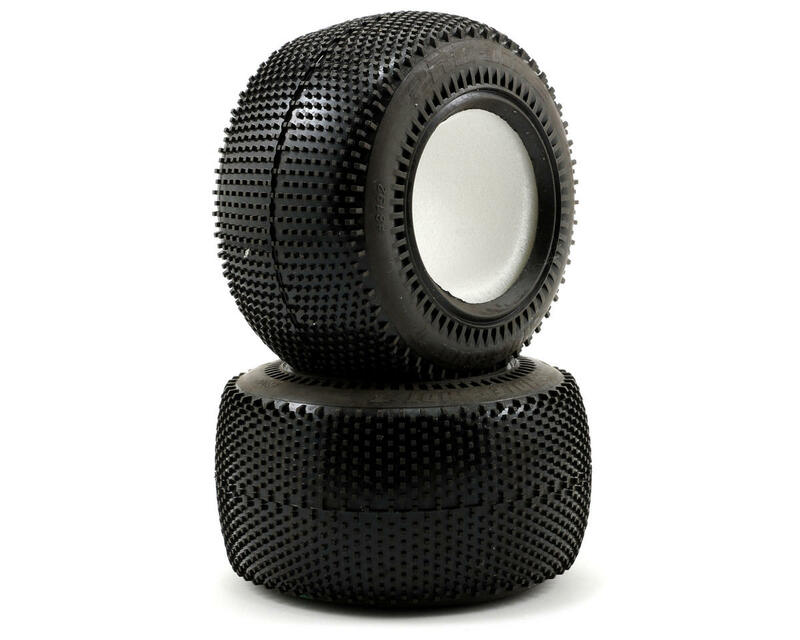 This is a pair of Pro-Line Hole Shot off-road truck tires in M3 compound. 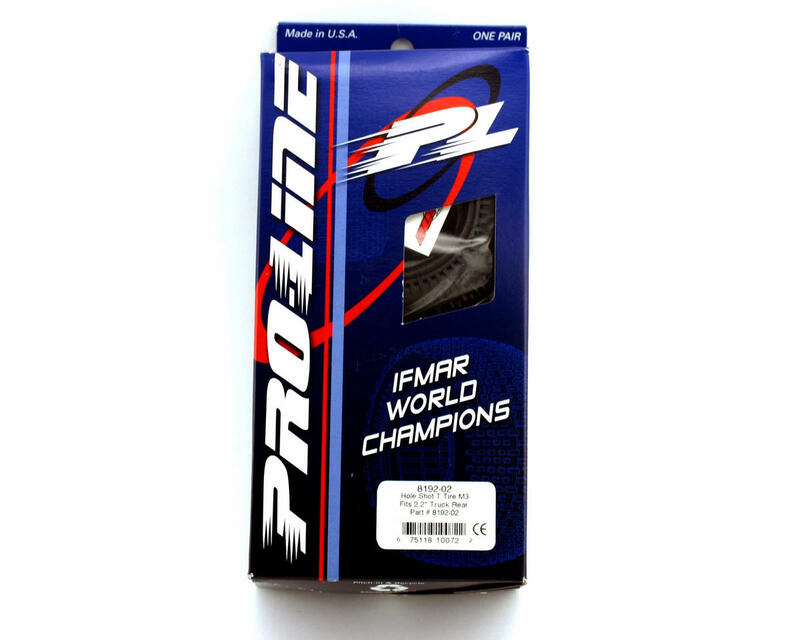 The Hole Shot tread is designed for less loamy track conditions. This is a great tire for harder packed tracks, especially tacky clay indoor tracks. The drier the track, the harder the compound of tire you should use (ie: M3 when very wet, M2 when dry). However if the track is very dusty, you should generally use a softer compound tire. excellent traction on blue groove ,light dust, rutted. Down side is they are bald in two battery packs. Excellent on hard pack, dusty and low bite conditions not so good on loamy . Also good all around front tire !